The minister of Indonesian education and culture ministry met the teachers in NTT when he came to Kupang on October 28th, 2015. The meeting done in Eltari Hall. In that moment, Anies Baswedan said that he was very happy because he can meet the teachers in NTT.To all of teachers he said, “The actors who play an important role in education are the teachers and the students’ parent. Before teachers teach the students in school, parent must teach their son first.”Then, he said that teachers must educate the students well. According to him, a good teacher is a teacher who inspires the students. If teachers can give inspiration, the students will never forget them. 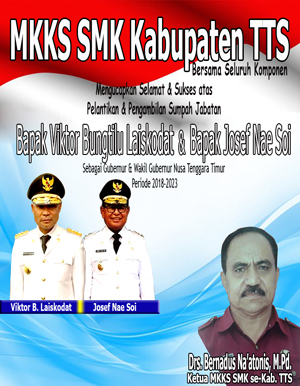 In addition, he said that in the future, all teachers will get training in order to improve their competence. 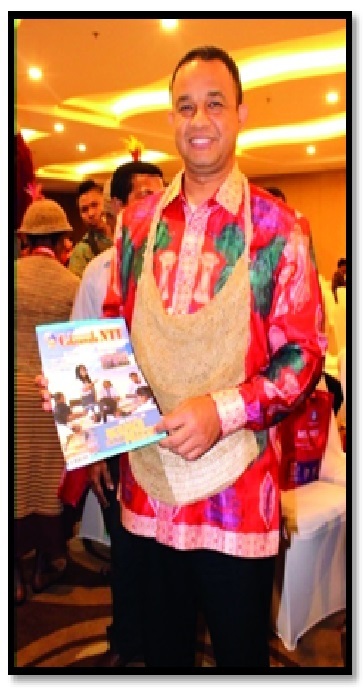 Anies Baswedan (The Minister of Indonesian Education and culture ministry) posed with Cakrawala NTT education magazine in his hand on October 28th, 2015.